Product prices and availability are accurate as of 2019-04-21 04:40:33 EDT and are subject to change. Any price and availability information displayed on http://www.amazon.com/ at the time of purchase will apply to the purchase of this product. 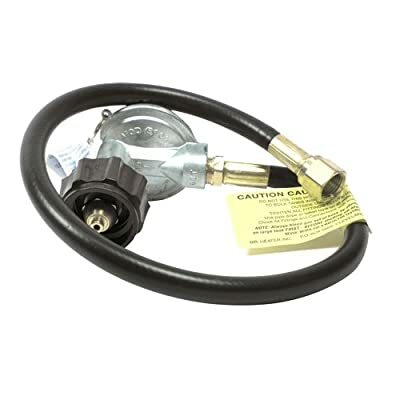 This is a 22" replacement barbecue hose and a 90 regulator assembly with an appliance end fitting (coupling nut) x 3 8" Female flare. Most commonly used on propane gas grills with the new Type 1 (*QCC 1) System."